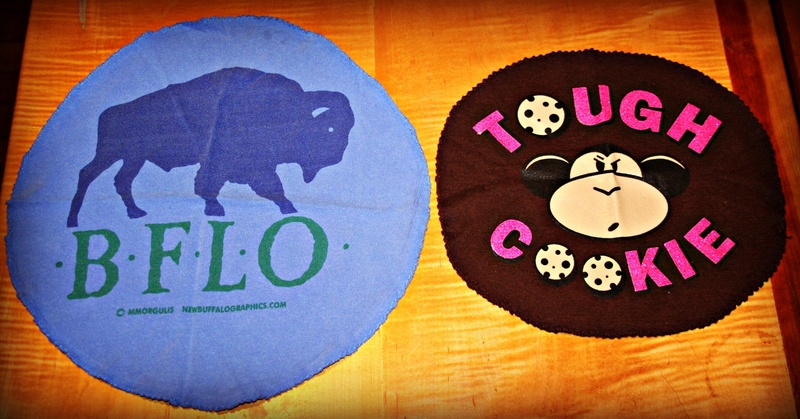 Buffalo and Tough Cookie swag! Thanks Luda for making the great patches! What do you think of our patches? Our next door neighbor graciously created those beauties out of old t-shirts we found. We’ll clip them onto our packs when we’re on the trail in good weather! Speaking of good weather, we didn’t get much last week and it looks like this weekend is more of the same. We’ll go up anyway, and hopefully tag one or two summits which is better than nothing. Finally, thank you and welcome to all our new followers. We’re only 26 away from hitting our next goal of 100. Once there, we’ll begin having some contests and give-aways and other fun! So, as always, if there’s anyone you know who might be interested in signing up, please let them know. The support and enthusiasm we get from all of you makes this challenge all the more satisfying and fun for us! And keeps us going in weather like this. Wish us luck this weekend as we might be hiking in a downpour, and we’ll see you on Monday! 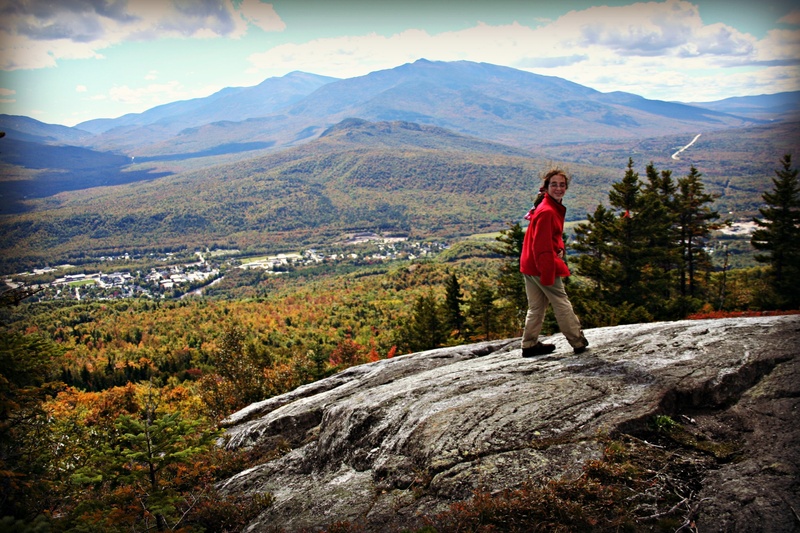 Tough Cookie checks out the view over Gorham. Through rain and wind and long, hard miles, nature tested Janelle and she has passed. She’s held newts and studied slugs and heard the terrifying flapping of nearby grouse, but those encounters have only made her more interested. 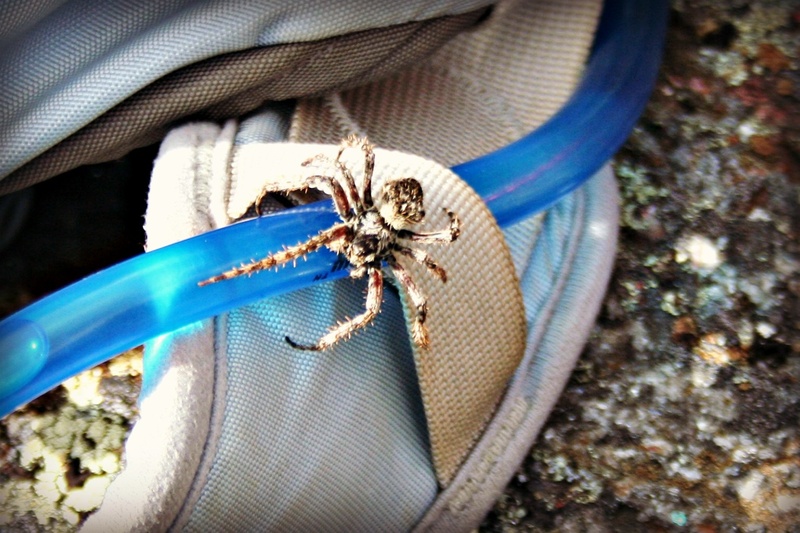 The half-dollar sized Wolf Spider plodding across her pack is too much. The spider’s hairy legs bristle in the wind. It’s so big, I can see its eyes. And it does not seem to care one whit about the two humans shrieking at the top of their lungs; Janelle yelling for me to kill it, me trying to calm her down and get a picture of the thing because it moves so fast. It really is big, the largest spider I have seen in the Northeast. Wolf Spiders do have a bite, but they aren’t dangerous. This one, though, looks like a mini-tarantula. Finally, after we both calm down, Janelle finds a stick and I’m able to lift the thing off her pack and put it on the ground so we can get a good look. “There, see, we don’t have to kill it,” I say, only partly believing myself that the spider isn’t going to leap up and attack at any moment. So we get down on the rock and watch the creature power its way over the ledge, seeming to know exactly where it’s going. When a particularly strong breeze hits the spider, it bunches up its legs, making itself harder to knock over. Janelle is curious, but this is no toad. After a while, she’s had enough and drifts away, calm enough to know that this Wolf spider won’t do her any harm, but not so certain that another one, lurking somewhere, may be the one that does her in. Tough Cookie breaks for lunch after gaining a hard-earned summit. 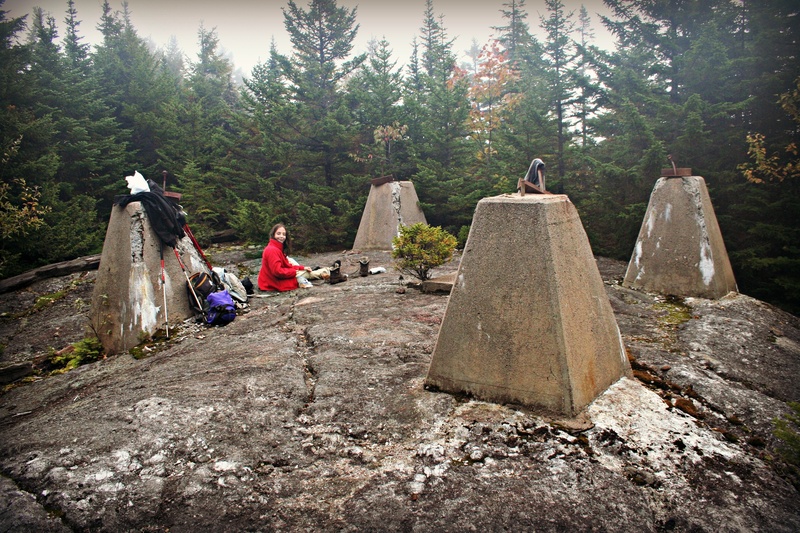 All that remains of the old fire tower on West Royce are the four pillars. We move slowly on wet rocks covered with moss. The trail zig-zags roughly up the north side of West Royce Mountain and we struggle against the blowing mist, closing over us like a cold blanket. A stiff wind tears through the trees over our heads and freezing water rains down off the leaves onto us. We are sweating and freezing, chilled and overheated. West Royce is supposed to be a beautiful mountain, with far-reaching views. Today, we see nothing. The mountain is angry. Janelle is in the lead and I watch her silently work her way around slick boulders. She picks a root instead of flat ground, and before I can reach out, she’s down in the moss with a thump. “Argh!” she grumbles. “Stupid roots!” She brushes the dirt and mud off the knees of her pants, jams her poles into the dirt and lifts herself up. But she does not ask to turn around. She shakes the frigid water out of her hair, takes a deep breath, and moves on. Indeed, today is not a good day for hiking. But where a day like this used to illicit frustration or worse, tears, today Janelle screws down that negative emotion and calibrates it into determination. We are here, the summit awaits; weather be damned. Location: North Chatham, near Gorham. I-93 north to Exit 35 to Route 3 to Route 116 to Route 2 through Gorham to Route 113 into Evans Notch to Wild Rover Road. Our trailhead: Burnt Mill Brook Trail to Basin Rim Trail. 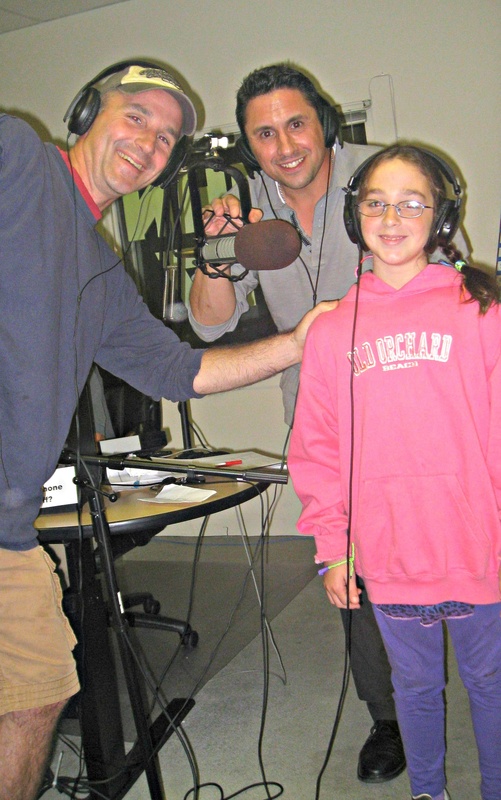 Great time on the radio with Rob and Dave! Many thanks to Rob and Dave of Granite State of Mind, the great radio show out of Concord on WNHN 94.7. We were thrilled to stop by and chat about the book and hiking and all sorts of things. The boys gave us a tour of studio and basically treated Janelle like a Princess. We certainly encourage all our followers to tune in each Thursday for news and blues about what’s happening around New Hampshire. If you are unable to stream the show live, then wait a day or two and listen in to their podcast. For now, here is a link to the podcast of our show. 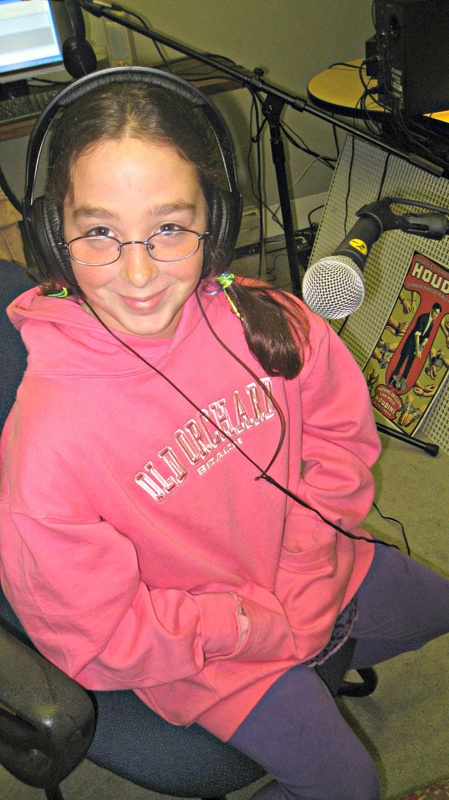 Check it out and listen in and join us for our very first radio show. We had a blast! Thanks again guys! Janelle all mic’d in and ready to go! Dave and Rob hanging out with the princess of the studio. Thank you all for you support! Half way there! 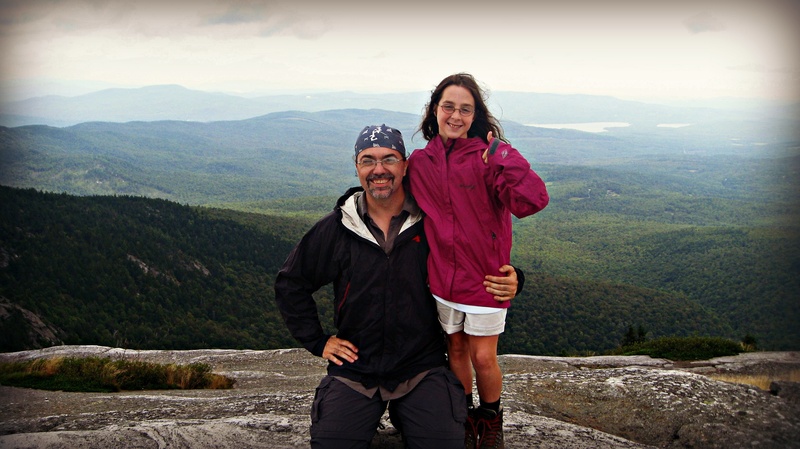 Janelle and I are excited and slightly terrified to announce that we’ve been asked to come on the Concord FM radio show, Granite State of Mind, to talk about the book and hiking. We think we’ll be on the show live sometime between 9-9:30 pm, Thursday, September 20. That’s today! Did I mention that the show is LIVE? The good news for all you folks who don’t live in Greater Concord is that Granite State of Mind is live streaming so you’ll be able to hear all our fumbles, foibles and mispronunciations from where ever you may be. Meanwhile, this weekend we’ll head up to Evans Notch (the unknown notch) to begin the second half of our 52WAV journey. We hope to tag at least three, perhaps four summits over two days! With autumn here, the mountains will look beautiful, though we’ll have to start bundling up as well. Pictures will of course follow! Finally, we love the support, comments and interest that you all have shown. It means a lot to us. We’d love to get our followers up to 100. Help us reach our goal, and we’ll begin to have fun contests and trivia. Until then, peace and keep hiking!